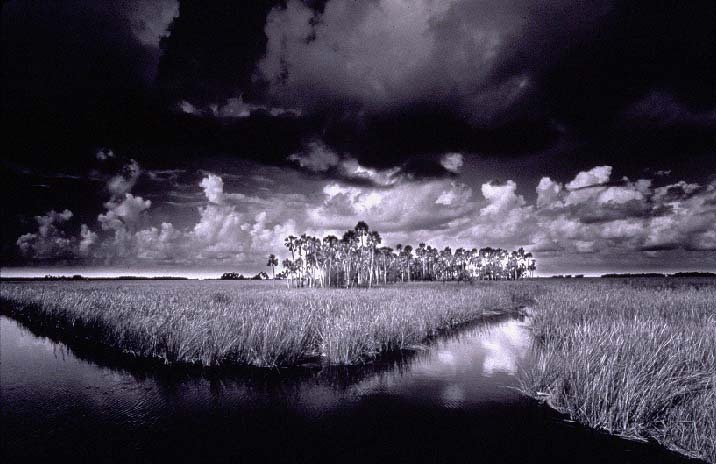 This 1991 photo of Seven Cabbage Cut, Chassahowitzka, Florida by Clyde Butcher is part of the "Visions of America" exhibit opening tomorrow at the G2 Gallery in Venice. Click on the image to be taken to the gallery website. While the image is of cabbage palms in the Florida Gulf Coast, this Californian is floored by Butcher's reminder of what palms do in nature, which is serve as wetland complex grasses on coasts and around desert oases. Of all the head-scratching moments that the Martians will have when trying to make sense of our landscaping, one may well involve how palms became everything from office plants to the most dangerous street "tree" in the world. More than 30 of Butcher's silver gelatin photographs of US national parks will be on show through February 19th. Butcher will be lecturing at the gallery on January 21st. Proceeds of print sales will go to the World Wildlife Fund. Tell me it ain’t so! You mean I have to tear asunder my nostalgia for the palm street trees of my youth? Ah, busted. I am indeed guilty of hyperbole, but having lived for 12 years on a street lined by Washingtonia filiferas and robustas that shed large, sharp, hard fronds from 100 feet every time that it was even moderately windy, I wonder if it’s not by much? It became impossible to walk outside because of the flying fronds and they pelted cars and stopped traffic. California’s palms are so glorious when planted away from streets and grouped and particularly in the native range along springs in Palm desert and they are so odd when placed strange places as ornament. That said, urban birds do seem to rely on our street palms, particularly hawks.